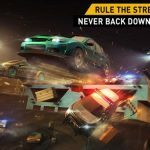 Need for Speed No Limits is Electronic Arts’ mobile (iOS, Android) version of its popular series for consoles and PCs, and it allows you to do a lot of the things you may have been able to do in all those NFS games from years past. 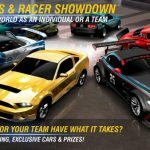 You can get to choose your own car and customize it to your liking via the Mod Shop, Black Market, and other spots, and once you’ve got yourself a vehicle, you can enter it in races, improving your reputation and earning more money. With more races comes more customizations, and that could also mean more cars. Some of the cars available in this game include the iconic Porsche 911, the BMW M4, and the super-fast McLaren 650, and the game also claims to offer more than 2.5 million different customization combos. If you’re looking to have a lot of success in the races and unlock more cars – and the cars we did mention are just a few of the ones available in this game – we suggest you to read our Need for Speed No Limits tips, tricks and hints. Why focus on the Car Series when starting out the game, and not on the more exciting-sounding Underground? It’s simple – races in the Car Series will earn you much more experience points. Stick to these races and win as many of them as possible. As you’ll want to unlock as many vehicles as possible early on, you should make the most out of what you have. And the best way to do this is to complete all the Car Series races, make sure your energy is regularly refilled, then go on to the Underground races. The classic strategy of replaying stages, or grinding in other words, will work for you in this case. Be sure that you’re replaying those stages you can complete, and those that offer you a surefire reward. You can also go to the garage and tap on an item that you’re aiming to acquire. You’ll be shown the stages that you have to complete – or replay – in order to get that item. Keep on racing in those stages and upgrade your cars accordingly. Though it’s good to have a powerful vehicle, it can also be argued that you don’t necessarily have to have the most powerful car on the block if you want to win a higher percentage of races. You can still win most, if not all of your races with a car that doesn’t have as much power as others, and the trick behind this is simpler than you think – it all boils down to having nitrous oxide at your disposal. There is, however, a specific technique when it comes to using your nitro in races. Work on the things you need to do to increase the nitro you have – perform tricks with your car such as drifting or drafting, or go through the blue arrows for some Nitro Boost. Near misses are also a good way to get more nitro, but drifting is the best and easiest way to fill it up, provided you’re drifting in smooth terrain and not when there’s lots of sand. You can also launch your vehicle into a jump if you’re on a straight path. With more tricks, you get more nitro, as well as more money for doing more than just racing straight-up. 4. When Can You Use Your Nitro? Now, that we told you how to increase your nitro and explained why this is arguably more important than having the most powerful car, we shall now tell you when to use that nitro. The answer is anytime during a race. More often than not, you’ll use it when you’re driving straight, as that’s the easiest time when to activate your nitro, though you can also use it when making turns. And you shouldn’t allow your nitro to sit for long without being activated – use it frequently. When driving in NFS No Limits, you should be aware of the obstacles ahead of you, and avoid them quickly. These obstacles may include, but not be limited to other vehicles, so you have to keep your eye on the road and be prepared for anything that might come your way. Some quick thinking is required here, though with a little practice, you’ll know when exactly to change lanes, go for a drift, activate your nitro, or whatnot without getting into any trouble. 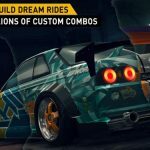 It’s cool to unlock a lot of cars, and just as a teaser of what’s to come, we’ll also show you how to do that in a future NFS No Limits strategy guide. These cars should be upgraded as regularly as possible, but you’ll want to single out one car to be upgraded the most often as your primary car. This would allow you to follow the storyline and win races while doing so. The upgrade parts you acquire can be used on any of your cars, so it’s not a bad idea to gather as many as possible and save them mainly for that one powerful, impressive car you want to focus on as your main vehicle. Just don’t ignore the other cars that you have and you’ll be fine. And once again, keep on replaying those previous stages, as you’ll only be better for it in every sense! Hitting another vehicle or another type of obstacle would result in damage, but you shouldn’t be too flustered if your car gets damaged. Sure, you’ll lose some speed and your final time will also suffer, but the damage isn’t permanent and you don’t have to have your car repaired or spend some money just so it’s back to top condition. Just as long as you don’t hit other cars or obstacles too much, you should still have a chance to win the race.